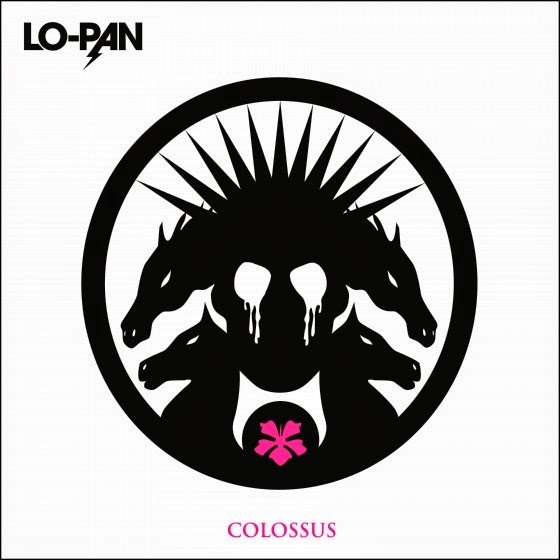 Long-running Ohio riff rock peddlers, LO-PAN, are pleased to unveil the details of their long awaited new full-length fittingly titled, Colossus. Named for the Colossus of Rhodes -- a ninety-six-foot statue of the titan-god of the sun, Helios, constructed in 280 BC to mark a failed siege and the indomitable nature of the Greek city of Rhodes itself -- LO-PAN's fourth opus serves as their most personal manifestation to date and a true testament to their evolution both as a band and individually. logged countless miles, crossing the country multiple times over on headlining tours. 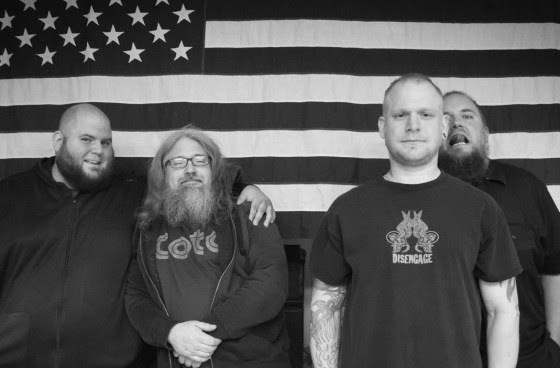 They've become one of the most ferocious live acts in American heavy rock, and Colossus stands tall to reap the rewards of their experience. For the first time in their near decade-long existence, LO-PAN knew exactly what they wanted when they hit the studio. They'd road-tested songs like "Eastern Seas" and the title track for over a year, and partnering with producer/engineer Andrew Schneider at his Translator Audio studio in Brooklyn just days after headlining Small Stone showcases in that city and Boston last March, they belted out songs that reveal just how much they've moved beyond their influences and arrived at their own sound -- a style built on aggression without caricature, fuzz without cliché, melody without redundancy and their meanest groove to date. Complete with cover art courtesy of Jason Alexander Byers (ex-Disengage, Black Black Black), Colossus, like its namesake, was built in defiance of gods and men, and while LO-PAN's loudest statement has always been made on stage, the material they craft and the power with which they execute it on this album is bound to stand for years to come. Colossus will be released via Small Stone on October 7th, 2014. Further details including track teasers and preorder links to be announced in the coming weeks.